Do you have a herniated disc, multiple herniated discs, degenerative disc disease, facet syndrome? Is your doctor suggesting surgery, pain management, or physical therapy? Call Gonyeau Family Chiropractic in Holly Springs, North Carolina for a free consultation about our spinal treatment programs. Our DTS Triton traction system is FDA approved and has been clinically proven with a very high success rate for the pain and symptoms associated with herniated and/or bulging discs…even after failed back surgery. 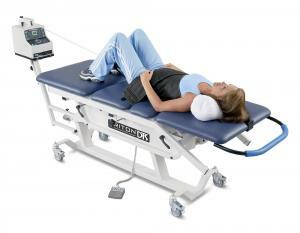 DTS Triton spinal traction therapy in conjunction with the additional treatment modalities provided in our clinic can, in most cases, effectively relieve the pain and disability resulting from disc injury and degeneration, aiding in the healing of damaged discs and reversing dystrophic changes in nerves. 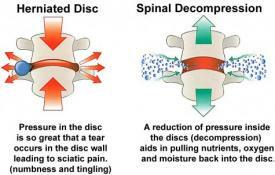 DTS Triton spinal traction treats the functional and mechanical aspects of disc pain through non-surgical traction (decompression) of spinal discs. The most recent clinical study of 219 patients has shown that this type of non-surgical therapy, provided nearly immediate resolution of symptoms for 86% of the participants, and 84% remained pain-free 90 days after the treatment was finished. Call TODAY (919) 267-4870 for a FREE consultation.